This Pico de Gallo recipe is a delicious Mexican appetizer, excellent for entertaining. 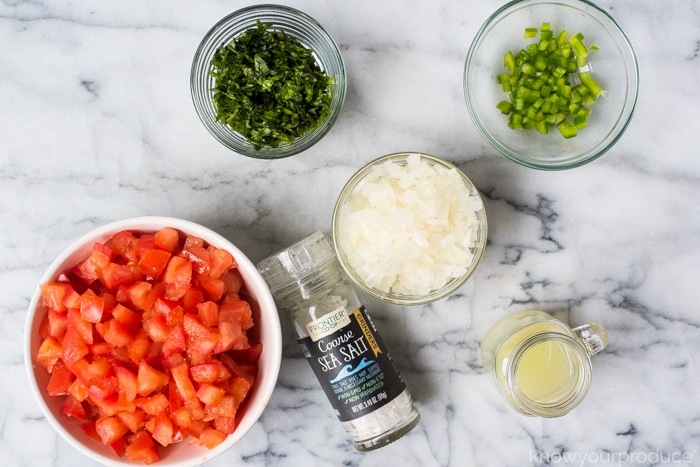 We’re showing you how to make this Authentic Pico de Gallo Recipe at home. If you want heat you can add in more jalapeno and keep in the membranes and seeds, but warning that will be very SPICY. If you want to remove the heat which is what we always suggest at first when trying something new, remove the seeds and the membrane. Jalapenos contain capsaicin and this oil can stick on your hands. To prevent you from burning your eyes or skin we suggest using gloves or handling them with extreme care. If you don’t want any heat at all you can leave the jalapeno pepper out and use a little green pepper. 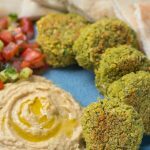 We suggest making it with green pepper for the kids, and it still adds crunch and color. 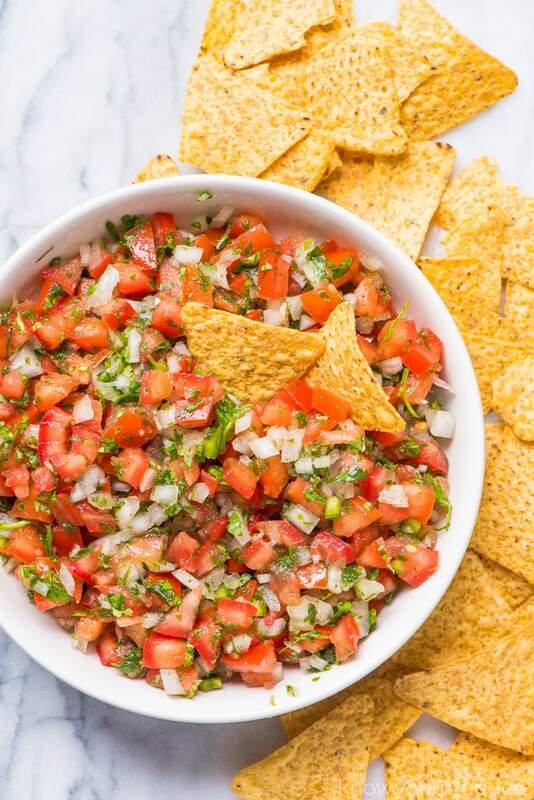 Pico De Gallo is a staple Mexican Food and you’ll notice that most Mexican restaurants serve fresh pico with tortilla chips as you are seated. It’s basically a Salsa Fresca which is fresh, not to be confused with salsa. Pico De Gallo is always fresh, whereas salsa uses cooked tomatoes. 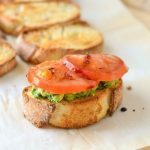 That means you will need fresh, not canned tomatoes for this recipe. 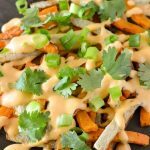 Don’t worry, this only takes about 10 minutes to make, even less if you use a food processor. Remember to use all fresh ingredients. Some may use a lime juice concentrate, but we always recommend using fresh lime juice if possible. Some concentrates can have an artificial taste and if it doesn’t taste good on its own it can ruin your dish. can I use red onion? 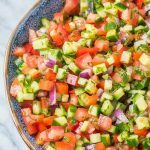 Yes, you may use red onions, however, traditional pico uses white onion. Red onions contain a higher amount of antioxidants and flavonoids. Nutrition wise, they are a better option, so go right ahead. Chop the tomatoes, onion, cilantro, and jalapeno. Make sure the jalapeno is finely chopped as it adds heat, we suggested you remove the seeds and membrane to make it less spicy. Place the chopped ingredients into a medium bowl. Pour in the lime juice and sprinkle in the salt. how do you serve pico de gallo? 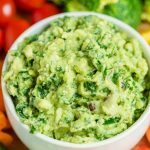 We love to scoop fresh pico de gallo over scrambled eggs or an omelet, mashed into avocado for a quick and easy chunky guacamole, over avocado toast, with shrimp tacos, chicken fajitas, as a topping for fish, or just a simple chip and dip with tortillas. 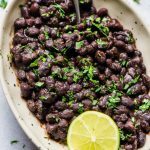 We suggest allowing the pico to marinate for a few hours in the refrigerator before serving so the flavors can meld together. About 30 minutes is good, but a few hours even better. 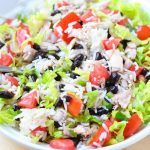 Serve with tortilla chips, with chicken burrito bowls, or even your favorite tacos. 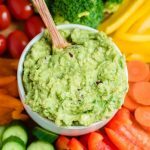 how long does Pico de Gallo last? 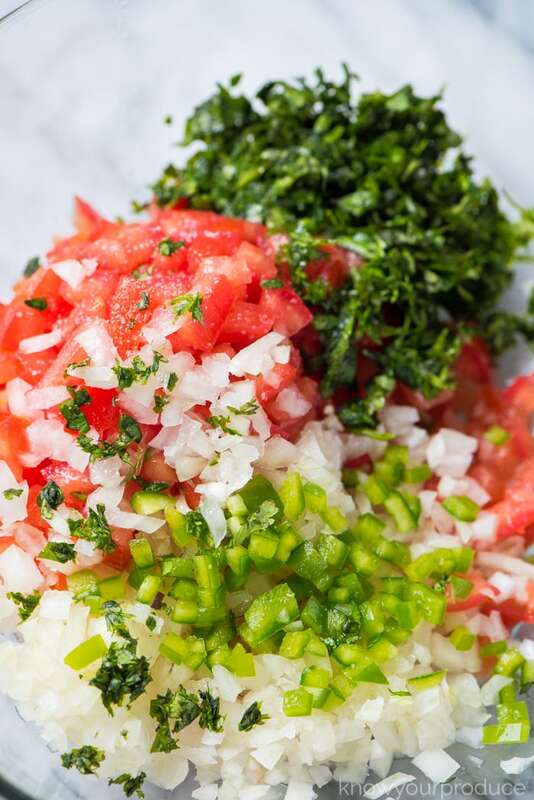 Pico De Gallo recipe should be used within 5 days for optimal freshness. The tomatoes will start to break down from the fresh lime juice. Store in the refrigerator in an airtight container. Unfortunately, you cannot freeze this recipe. 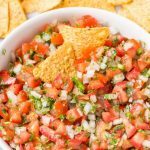 Pico de Gallo is a must have appetizer recipe for entertaining. 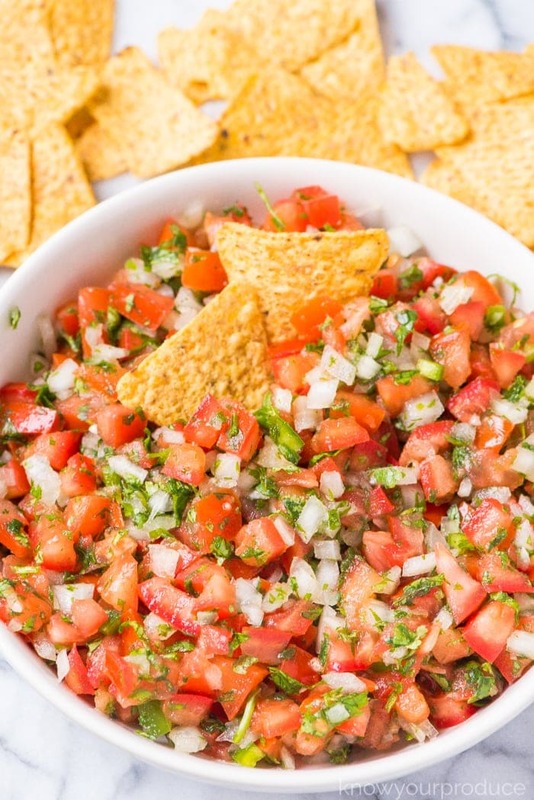 We're showing you how to make this Authentic Pico de Gallo Recipe at home. Chop the tomatoes, onion, cilantro, and jalapeno. Place the chopped ingredients into a large bowl. Best if consumed within 5 days. To reduce the heat from the jalapeno remove the seeds and membrane.